I was a little hesitant to actually watch a Filipino film as I've seen a lot of fails in the past. The title itself is crazy so I wasn't really thinking of enjoying myself and didn't think this was actually a smart idea. A little dated on some details but overall, ECHORSIS deserves your attention. Let me try to state a couple of reasons why. I've known Chris Cahilig in the PR industry and he's been doing quite good. In fact, I was a little dumbfounded on why he's actually producing a film. He's already managed talents, did a lot for OPM, believed in the brands he's representing but it was always at the back of his mind. He dreamed of making films. The opportunity was just there when he talked to the film's director Lem Lorca. The material was just waiting to be produced so when they met, it was like serendipity. It didn't felt romantic but everything seems to have been falling into place. Chris just grabbed his bag and said "Yes! We're going to produce this film!" During the premier night, we spotted the film's stars and right in front of the theater was beauty queer Francine Garcia. Yes, she's from Super Sireyna and plays one of the friends of John Lapus' character. I could sense they probably are trying to represent the norms of gayhood (if there was a term for that) in the film and tell the story how when one fails to come out when everybody else was. 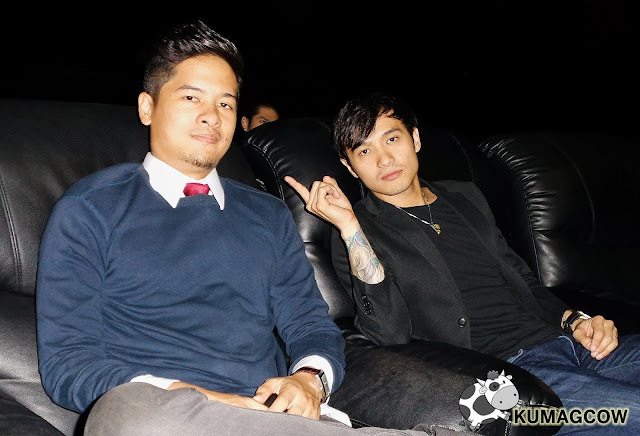 There's actually three lead stars in the film and it includes hot Alex Medina and equally good looking Kean Cipriano. The story and climax will actually spin with these two so pay attention how their relationship came about. I don't want to spoil it for you so I'll stop there. I like the confrontation scene between the possessed Alex and the priest Kean, you probably have seen that in the trailers. It's a lot funnier when you see it in the big screen so invite your friends to see this on April 13! You'll also get schooled by popular Bekimon and have to connect the dots if you don't know what he's saying. He's part of the posse of John Lapus. In the film, he plays the loud and flamboyant friend who wants to get the "coming out" part over with. Unfortunately John Lapuz' family is super strict, not to mention Odette Khan is his mother. She didn't get to slap him though. Aside from that, I'm sure somewhere in the death scene, Bekimon and Francine Garcia enjoyed their time. You would need to research on that. 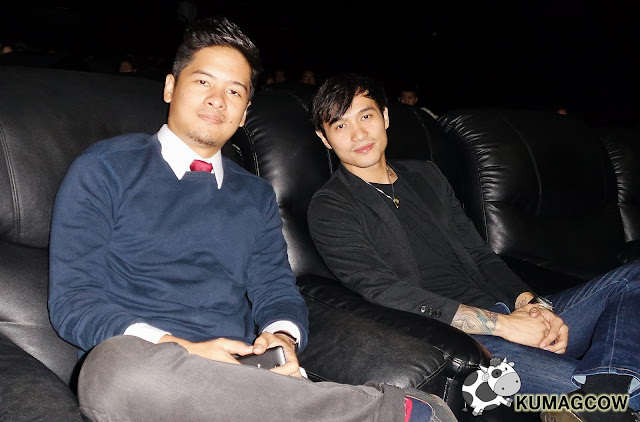 Alex Medina, Kean Cipriano and John Lapus didn't hold back in this film. Although I have to admit, the role of Mich Liggayu wasn't executed well. You'll love the scene with Alessandra De Rossi because no matter how small and confined that scene was, you'll remember her even when the film finishes. Add to that the little neighbor that enjoyed the car wash. Nico Antonio is here too and is part of the gang of John Lapus. He's basically the serious one and you'll get a ton of laughs from the situations he's gonna get into. Improvements should be done on the special effects, more so on the spinning head scene (which you'll know when you watch it). For the production limitations (as this is independently produced), they did good though. I think I might have given this movie and the character too much praise, but really, I did enjoy it. It's the quintessential eye opener for those who are still boxed up in slapstick gay comedies. This is dark, but still had time to change shape and become analogous to a border-less translation of queer love, hope and betrayal. If you're straight, you'll learn about the homosexual capacity to communicate unfathomable romance and how rejection can lead to outright evil. For those yearning for flesh, you'll get a chok-full of abs in the film and might even consider it essential. So eat that up - and enjoy the movie! Make sure you line up on theaters this April 13th in these cinemas as they are also Graded B PG 13 by the MTRCB!